The Green Machine path is well laid out for 2019 with FIH Series Finals in Le Touqet in June and Olympic Qualification then firmly coming into focus, there is also the Eurohockey Championships to look forward to in Belgium this August. 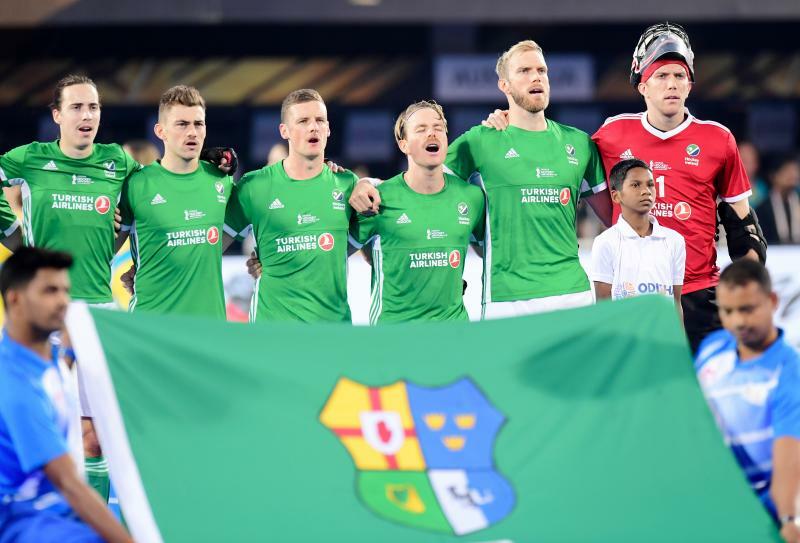 Ireland’s men will begin a series of training camps in the coming weeks, utilising a panel of 30 players as they prepare for the FIH Series Finals. While pools for that tournament are yet to be confirmed, they could face Chile, Egypt, France, Korea, Scotland, Singapore and Ukraine. Their first international fixture of the year will take place in Kampong against Japan in April, a side on the rise as they were crowned champions at the Asian Games last year. Similar to last year, the Green Machine will welcome USA to Dublin in May for 2 competitive fixtures on May 24th and 26th, acting as fitting preparation with the FIH Series Finals the following month. A top two finish in Le Touqet will secure Ireland’s place at the Olympic Qualifiers in October/November (date TBC) but before sights can shift to Olympic qualification, the Eurohockey Championships in Antwerp awaits. There are no easy games at the highly competitive continental championships and Ireland sit in a challenging pool with the Netherlands, Germany and Scotland. Preparation for the Euro’s is likely to come in the form of a 4 Nations tournament in Santander in early August. Speaking about the year ahead, head coach Alexander Cox said “I am delighted to have committed my future to Hockey Ireland and to continue working with the Green Machine at such an exciting time for hockey in Ireland. We learnt a lot from the World Cup in India and are looking forward to getting back on the pitch together and begin working towards Olympic qualification, which is our main goal for this year. It will be a great opportunity for Irish fans to see the Green Machine at home in May when we face the USA and we are expecting 2 high quality games from an ever-improving side. We are working as a large panel of 30 at the moment which increases the competition in our selection and will begin our training camps shortly”.